Even as the partisan divide in Washington seems to grow more pronounced, glimmers of bipartisanship still appear. There's a new effort afoot to address the records of non-violent marijuana offenders that bridges ideological and geographic differences. Delaware Rep. Lisa Blunt Rochester, a Democrat, along with 20 of her fellow Congressional Black Caucus members have joined forces with Freedom Caucus Rep. Rod Blum, R-Iowa, and recently introduced the only current federal bill to seal the records of non-violent marijuana offenders who remain crime-free one year after their completed prison sentences. The representatives of the unlikely alliance have coined a name for themselves. "Strange bedfellows" is how Blunt Rochester described the group in an interview with CBS News. The "Clean Slate Act" on criminal justice reform is also backed by a similarly odd political pair -- the Koch Brothers-aligned FreedomWorks and the Center for American Progress, two organizations that are usually on opposite sides of any other political issue. "We have people who are at the extremes almost of the continuum," Blunt Rochester said, "And I think that's an unusual thing especially in today's [political] climate." Simply put, "Folks want bipartisanship," Blum told CBS News. Both Blunt Rochester and Blum see this bill as a solution to the millions of unfilled jobs throughout the country and as a necessary second chance for those who may be penalized by their criminal records when applying for housing or college. This is "common-sense" legislation, says Blum. But he could have a tough time convincing fellow Republicans in Washington to support reform legislation like his. "For people that are against this, I suggest they tour prisons," Blum advised. 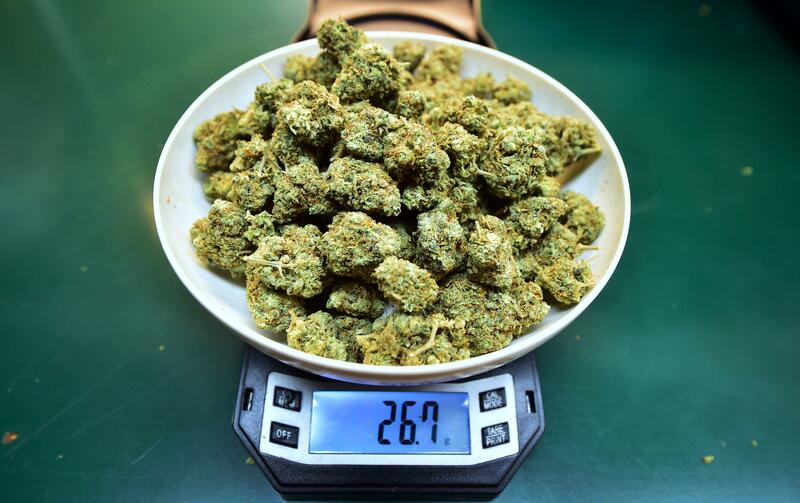 The only current option for Americans to have their federal marijuana offenses erased is direct involvement from the Trump administration, which over the past year has sent mixed signals about drug enforcement policies. Earlier this year, Attorney General Jeff Sessions penned a memo directing U.S. attorneys to approach marijuana prosecutions as they do any other federal law: if a marijuana offense is found and attorneys feel it must be prosecuted, then "they should" do so, Sessions argued. Asked about this decision by Sessions, Blum admitted, "I personally think the attorney general's position on, for example, marijuana is--he's a bit out of step." The congressman also said he plans to speak to Sessions about the legislation when he sees him again. More recently, as reality TV personality Kim Kardashian West arrived at the White House with senior advisers Jared Kushner and Ivanka Trump meeting her, the trio successfully lobbied President Trump not only to address criminal justice reform, but also to pardon an offender's life-sentence for cocaine possession, an offense which carries more severe penalties than marijuana possession. Moments from the White House like this -- with or without the spotlight brought by Kim Kardashian West -- are encouraging the congresswoman to encourage the bipartisan outreach. "We would work with anyone who is willing to get it done," Blunt Rochester said confidently.